Parents/carers – St Andrew’s will be offering a parenting course that will enable you to learn tools and techniques in managing behaviour in children. 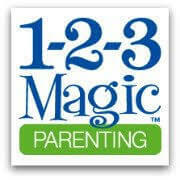 1-2-3 Magic puts the parent in charge – prevents the Talk, Persuade, Argue, Yell and Hit syndrome. This course will continue for 6 weeks, 1,00pm – 3.00pm; if you are interested in participating please contact Mrs Francis on 01604 406486 to register.